Learn all about curtains and drapes for all of the rooms in your home. Explore the world of curtains and drapes. Once upon a time in the design field, it was said that you could drape a fabric but you could only hang a drapery. Many designers still hold on to this design idea, but modern language uses the word drapes. Whatever terminology you prefer to use, the function is still the same. The definition of curtains versus drapes has also been pared down. Panels that can't be drawn together are called curtains. Curtains can be lined or unlined. Drapes are capable of being drawn together or drawn apart either by a mechanism within a rod, grommets, rings, or manually manipulation. There are drapes for various purposes such as blackout drapes, sound reducing, or thermal drapes. You'll find many articles on discount drapes and ready-made drapes. 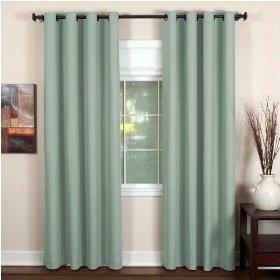 Other components to enhance your curtains and drapes include cornices and valances. There is a wide range of valance styles to use with curtains, drapes, blinds, shutters, and shades for a higher-design styled window treatment. This category features a wide choice of window treatments available to you. You may discover new styles that you've never tried before and helpful how-to articles such as how to hang drapes. Become part of this growing community by leaving a comment to share your thoughts and ideas with visitors.